Mega Power Star Ram Charan’s Bollywood debut movie Zanjeer is taking shape in Hyderabad currently where the scenes on the lead cast including actress Priyanka Chopra are being canned. Meanwhile, here is the news that Atul Kulkarni has been roped in for one of the crucial roles in the movie. The news has been informed by the actor Atul Kulkarni himself. 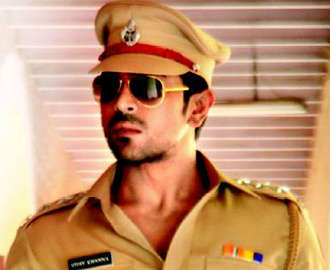 “I will be playing a completely new role in Zanjeer remake. The role isn’t there in the original version but Apoorva Lakhia has penned the new characterization. I am yet to start shooting for the film from the end of this month,” said Atul Kulkarni. Atul Kulkarni played a negative role in Power Star Pawan Kalyan’s earlier released Panjaa movie.